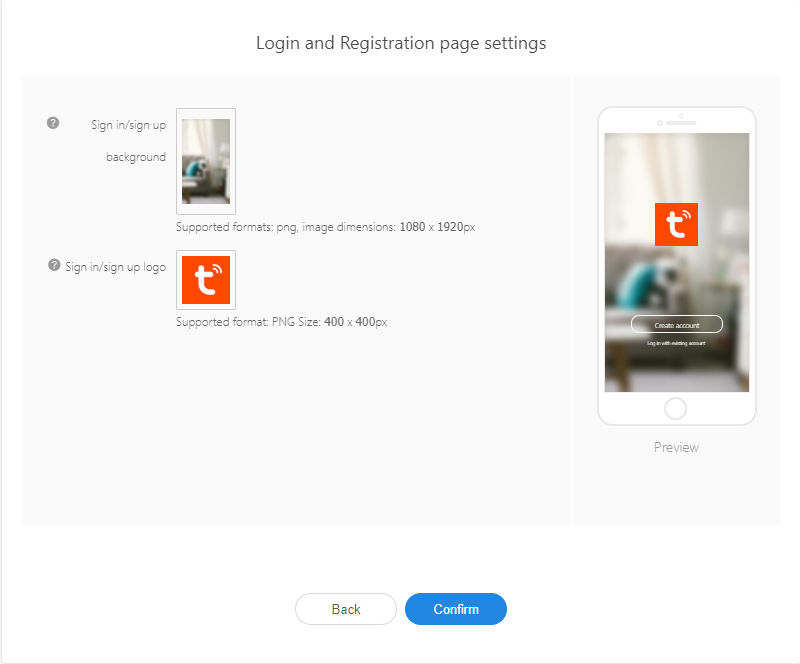 1、Login Tuya IoT Platform https://iot.tuya.com ，enter into the login page, you could log in directly if you have an existing account; If there is no account, please register first and then log in. 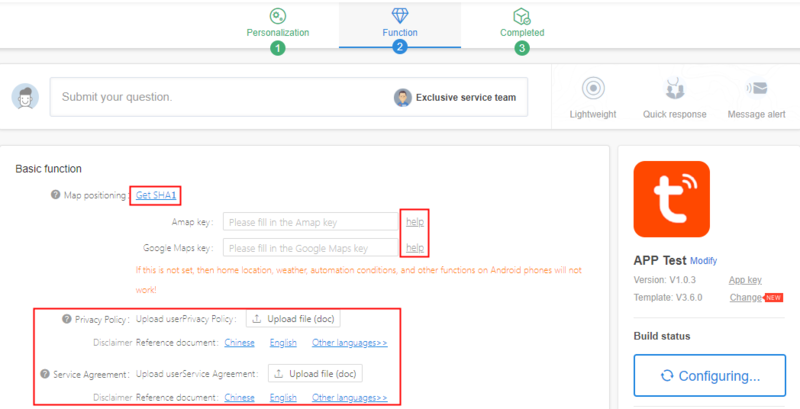 In order to facilitate the experience of the OEM App service creation process, we have launched the OEM App service experience function . The configuration process of the experience service and the formal service are basically the same, so you can choose whether to experience it according to your needs. 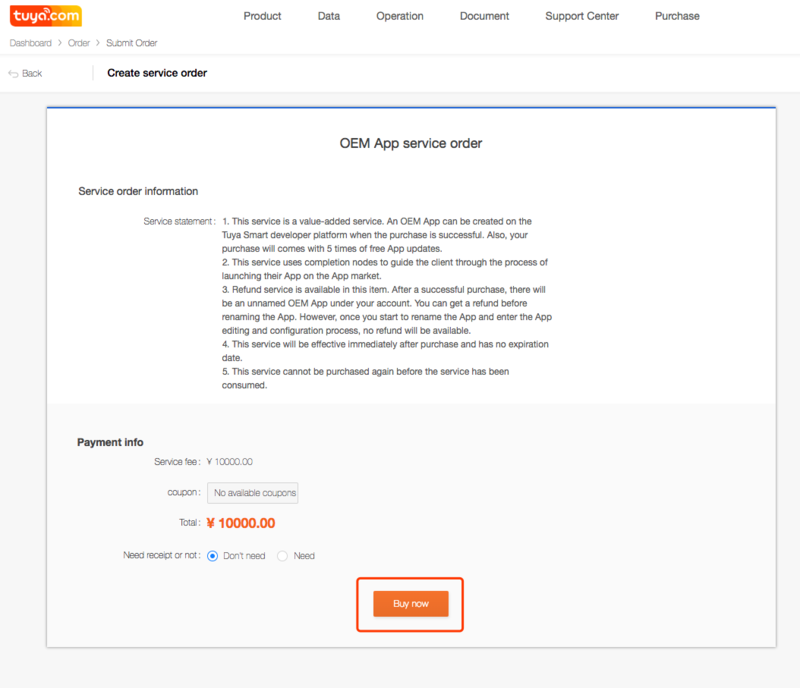 The experience time of OEM APP is 30 days, you can pay for it at any time during the experience process. If you still have not paid after expiration, you will not be able to configure the app. But you can activate it when complete the payment, and we will reserve the configuration data for you. 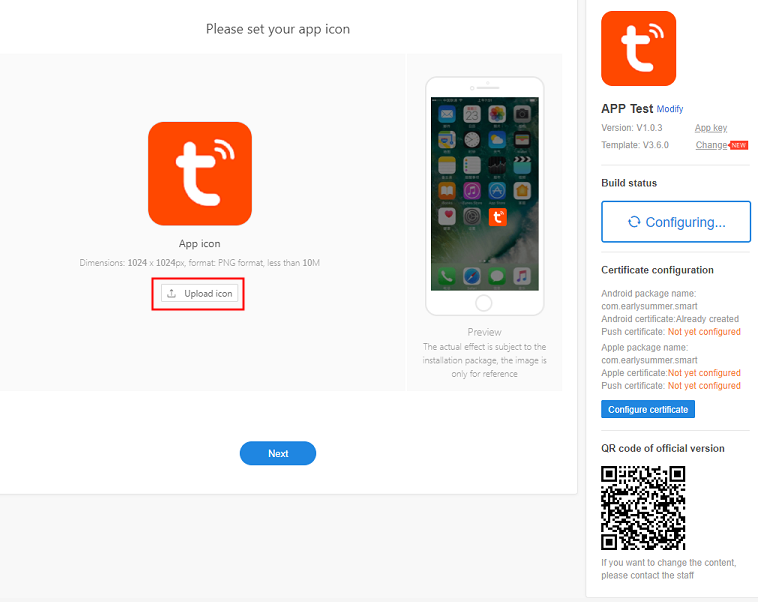 App Name：It is recommended to input the length in 6 Chinese characters or 12 English letters as the App name which is displayed on the mobile phone desktop. App package name：As the unique identifier of the APP, it is not allowed to be duplicated. It is recommended that each segment is controlled within 3-20 letters and only lower case letters are supported. 4、 If you click Buy Now, it will enter into the service order purchase page. When you click Buy Now and complete the payment, then start to improve your OEM APP. 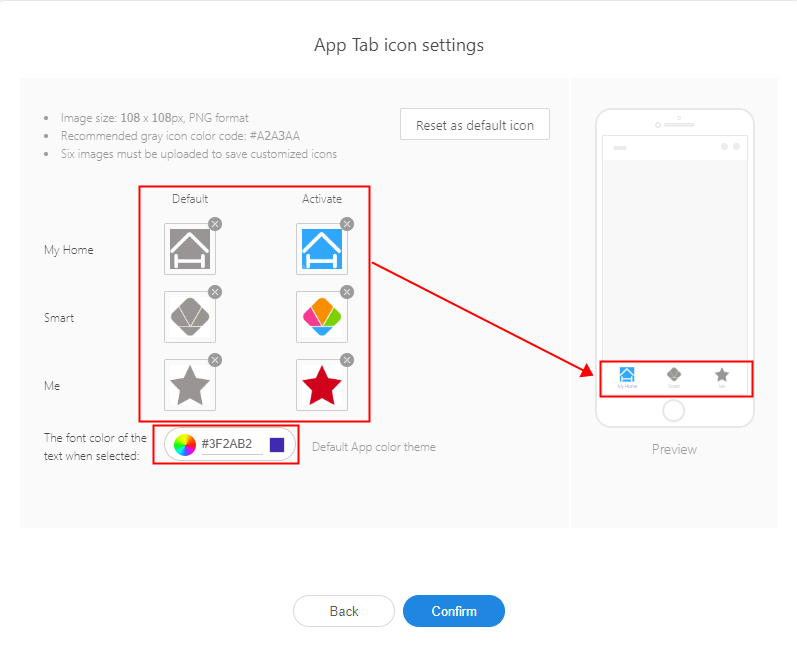 1.Personalization configuration, it determines the appearance of your App: including App icon, App startup page、App color theme. Note: If you want to quickly demo demo, after the above configuration is confirmed, you can continue to click ‘Next’. If the basic function configuration is not modified, the graffiti provides default configuration. After submitting ‘Immediately build’, refer to the sixth step of this manual. Can be tested first. 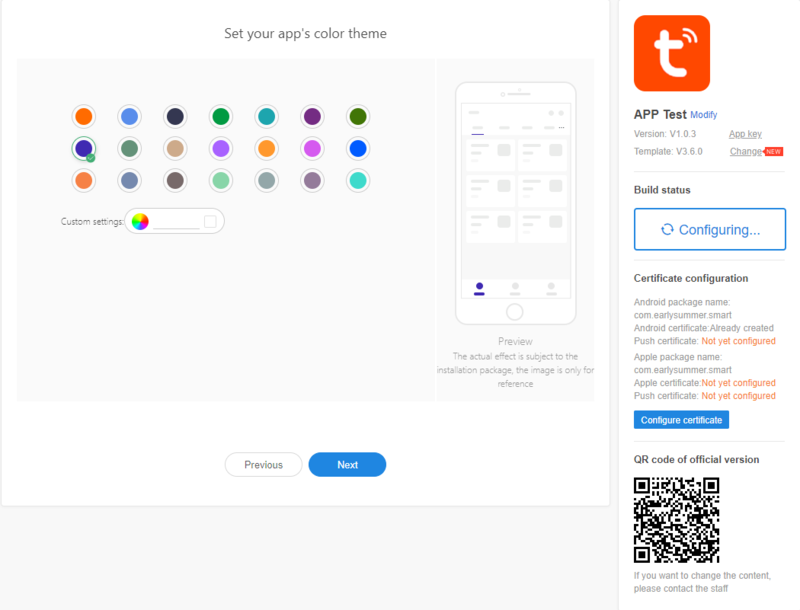 App Tab icon Settings: Tuya provides the default Tab icon. If you need to modify it, you can click Settings to replace it. Tuya provides Reference document: Chinese and English, you can click to download the reference. If you need multi-language version, you can upload the modified document by clicking Upload file(doc)according to the English translation. At present, the page can be selected for Standard category. 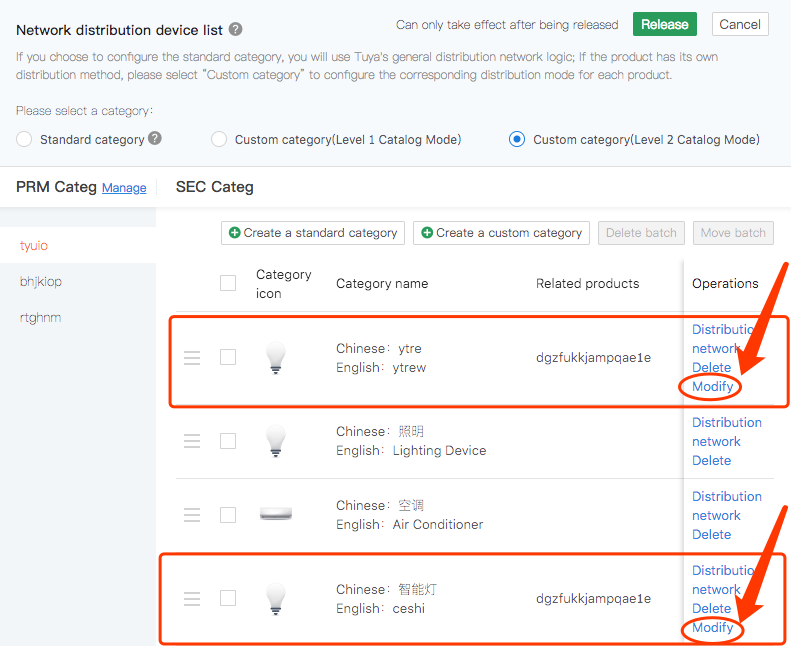 The general distribution network logic of Tuya is used. 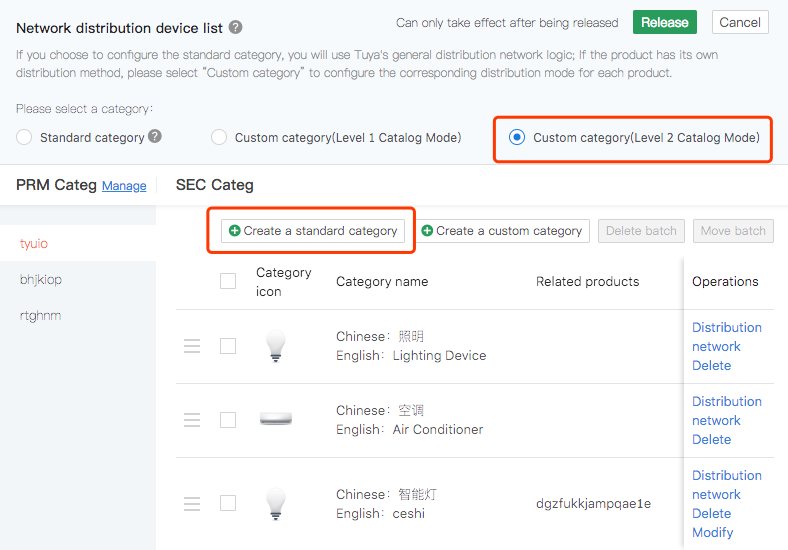 The Standard category does not support the modification of the relevant pages and contents of the distribution network. 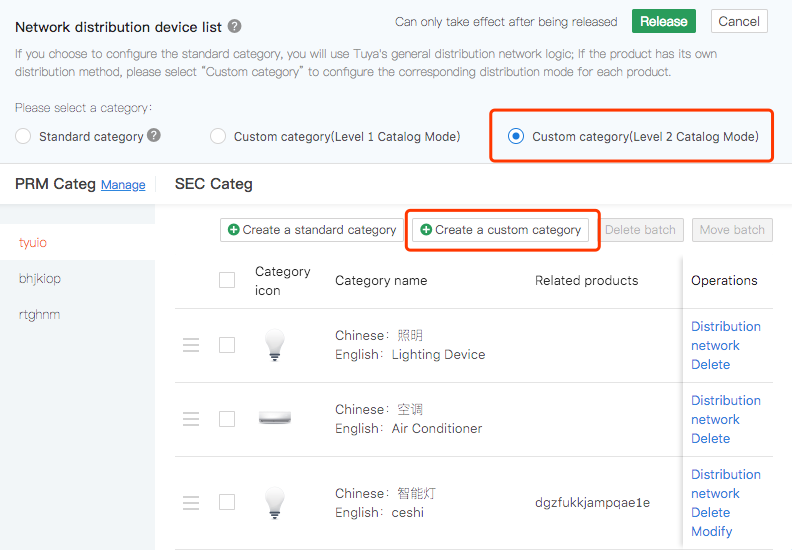 (3)Only the products with Custom category support the modification. 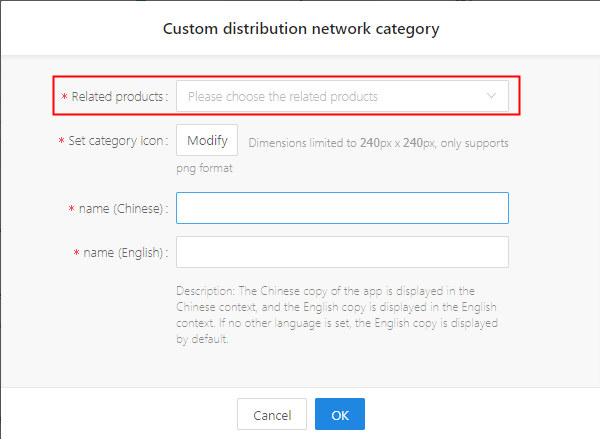 As shown in the figure below, you can click the Modify button to modify the product icon and name. Note: Please remember to click the Release button after modifying this copy. At present, there are Multi-language settings 、Expansion settings、Third-party support in this section. 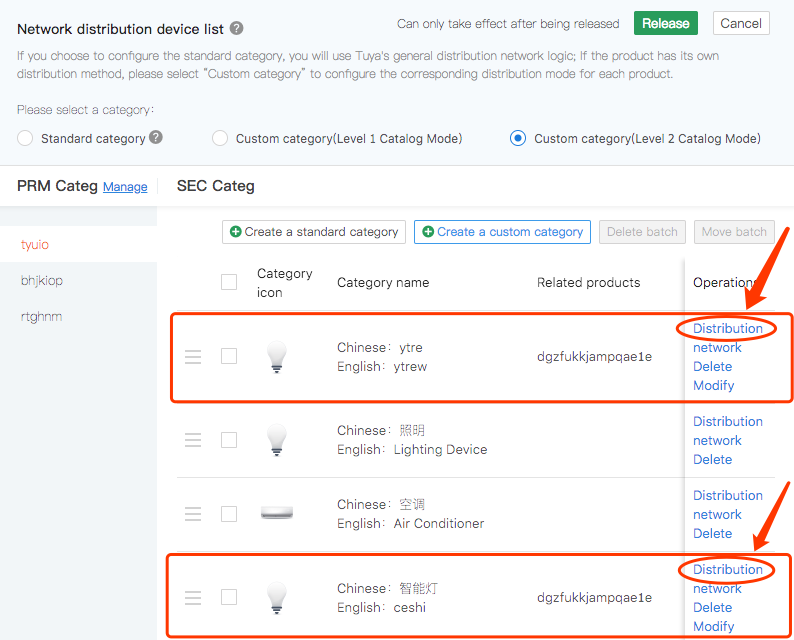 Expansion settings ：The effect can be seen in real time in the mobile phone model on the right, please select it according to your demand. 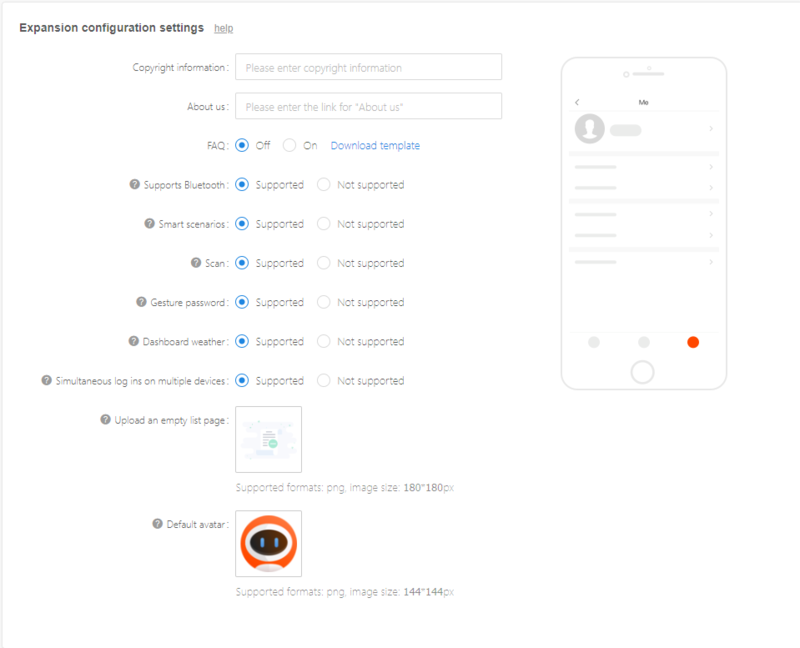 Copyright information：You can add the copyright information of the app in the “Me - Settings - About” at the bottom of the page. About us：Please enter the link for About us starting with https:// or http://. FAQ：You could decide whether you will expose the FAQ part in the profile page in the app. If you want to modify it, Please download the template and after modifying please submit it to tuya staff for revision. 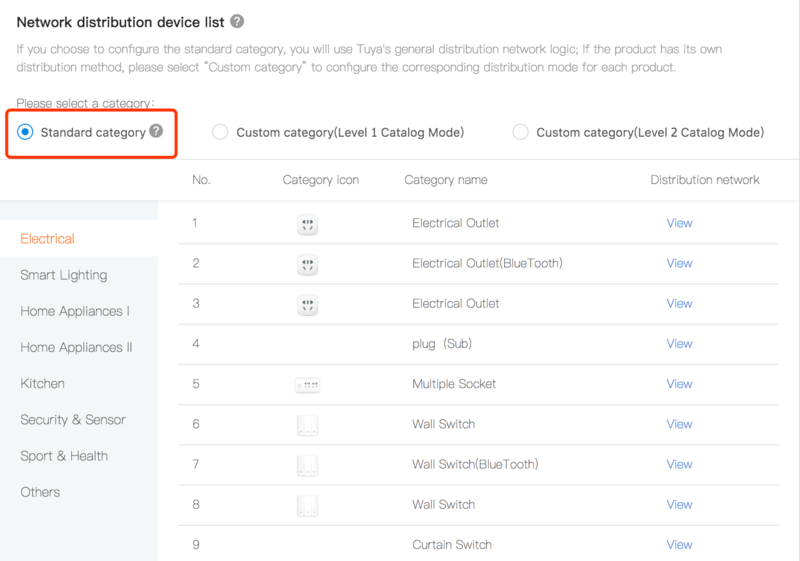 Support Bluetooth：You can choose whether it supports Bluetooth device distribution network according to your actual needs. Smart scenarios：You can choose whether it supports the smart scene function according to your actual needs. 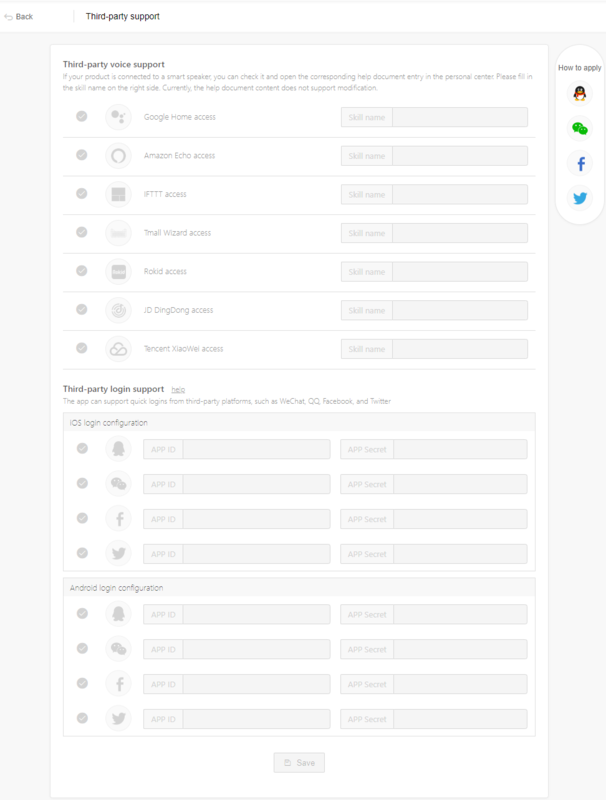 Scan：You can choose whether it supports this function according to your actual needs. Gesture password：You can configure whether to enable the app’s gesture password function. If enabled, the user of the app can use the gesture password to lock/unlock the app to improve the security. Dashboard weather：You can choose whether it supports this function according to your actual needs. Simultaneous log ins on multiple devices：According to your actual needs, you can choose whether it supports multiple mobile phones login for the same account. Upload an empty list page： You can configure the bottom picture when all the lists in the app are empty. Default avatar:You can configure the default avatar of the personal center within the app. （1）Third-party voice support：If your product is connected to a smart speaker, you could check the corresponding speaker skill here, and please fill in the skill name on the right side, after checking, it would have the corresponding button in the app-- personal center–more services. Then click the button to jump to the voice assistant accessing help page. 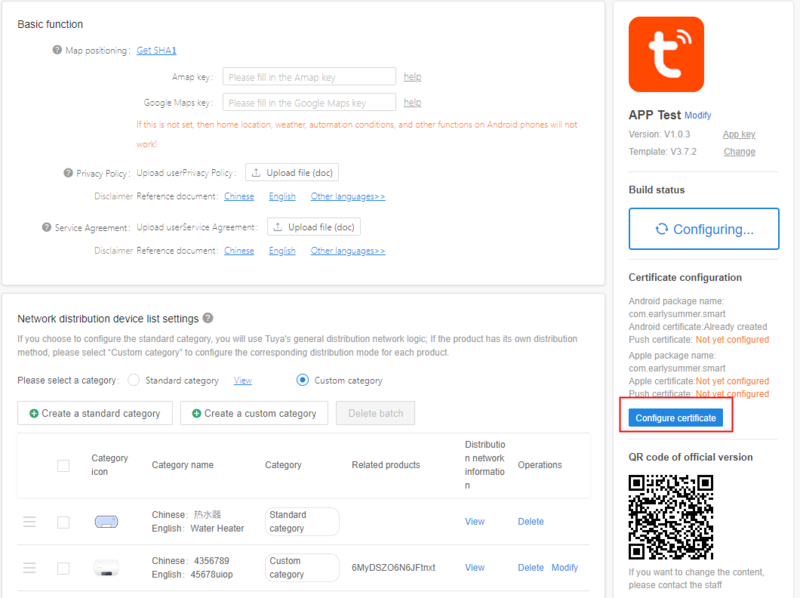 If want to modify the content of the help page, please consult the tuya staff. 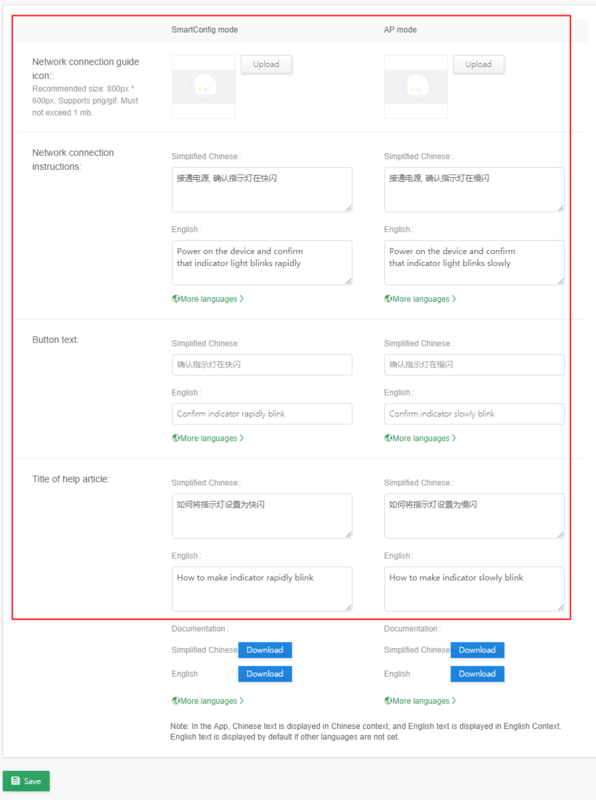 (2)Third-party login support ：Domestic Support QQ and Wechat, abroad support Facebook and Twitter, please select it according to your actual demand. Accessing the Facebook and Twitter has the active the lower limitation. If it doesn’t reach the lowest bound, it would be canceled the authorization, also it would fail to use the third-party Facebook and Twitter to sign on in the app. More detail rules please reference the Facebook,Twitter document. 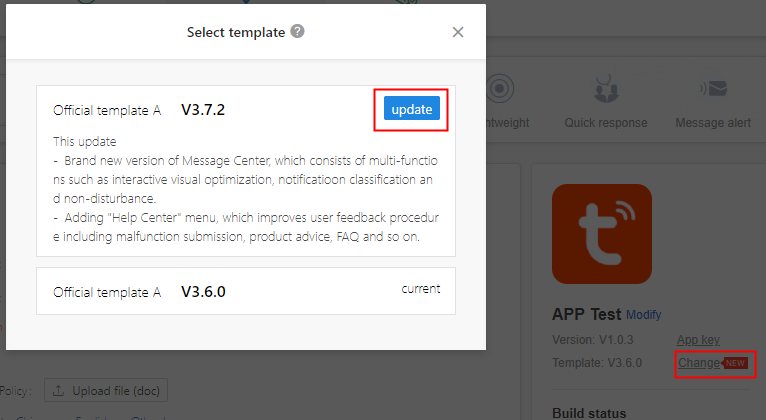 Modify：Support for modifying the App name. After modification, it need to be rebuilt to take effect. 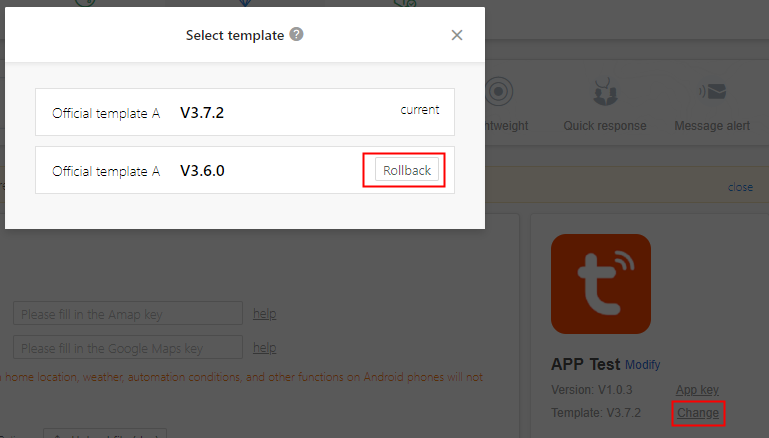 （2）If you are not satisfied with the app built by the updated template, you can rollback to the previous template and rebuild the test. Build status：The current status of the app can be viewed in real time. 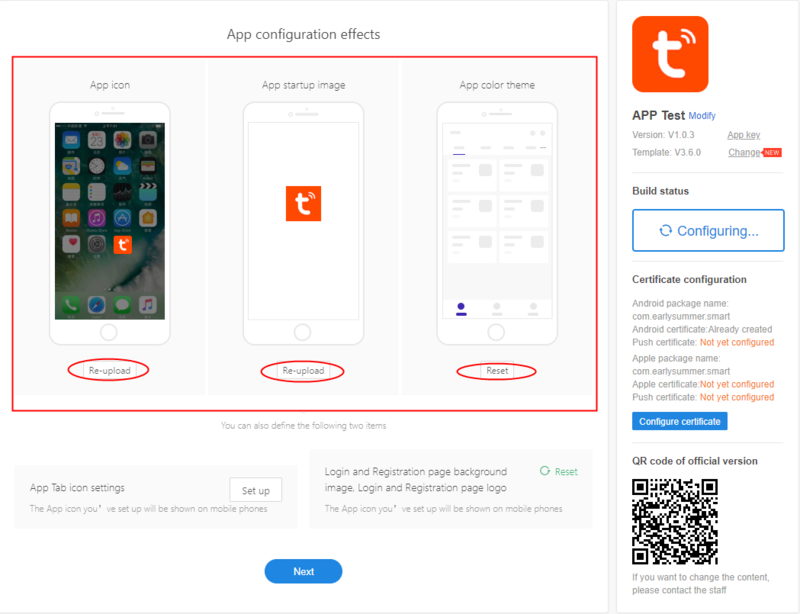 Certificate configuration： If the application need to be published to the application market, you need to upload the relevant certificate here. 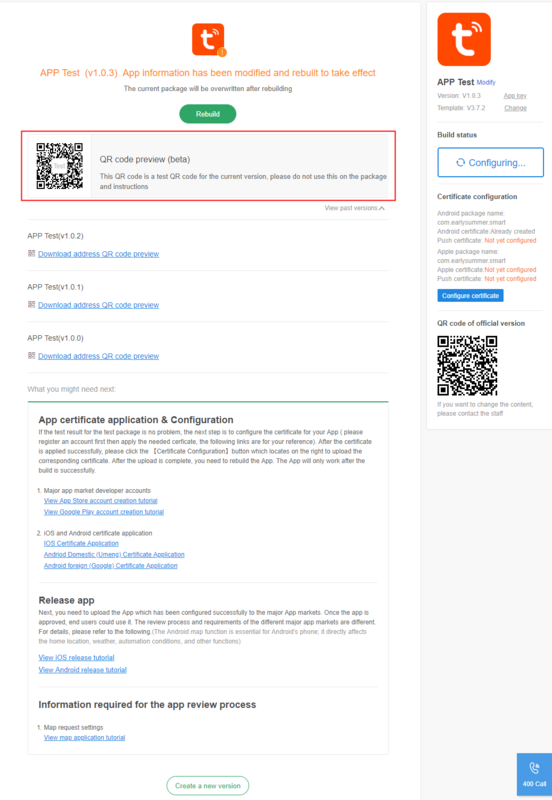 To create the certificate, you need to register the developer account first. Please refer to the corresponding application help document for details. If the certificate has not uploaded, you can only build the test version. 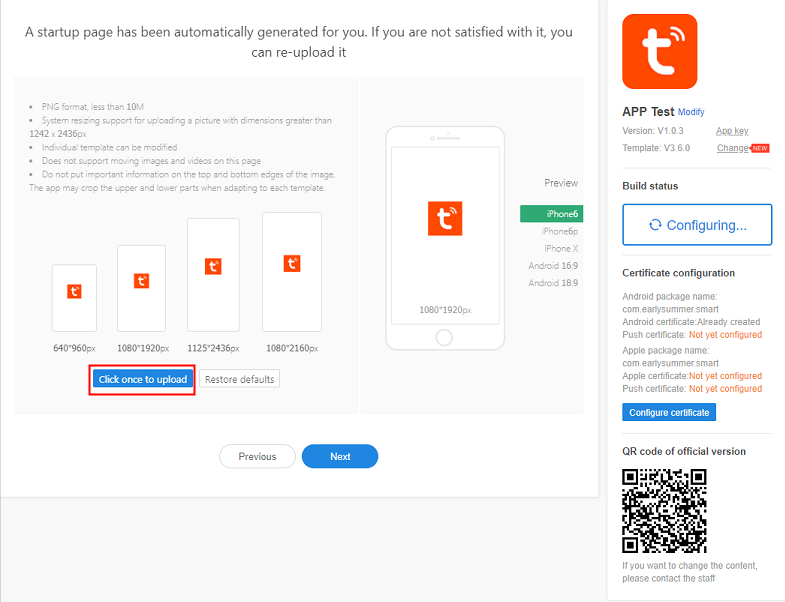 2、After the construction success, you can scan to download and test your branded App. If there is no problem for the test App, please follow the instructions below to upload it to the major application markets. 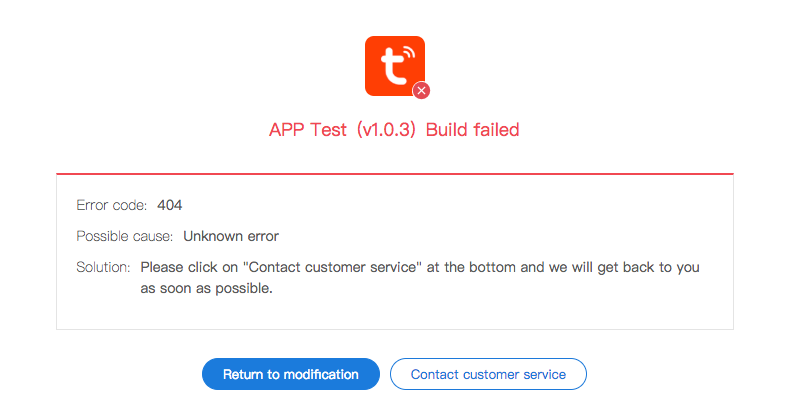 3、If the build fails, please click Return to modification the App relavant information or click to Contact customer service to view the reason for failure.